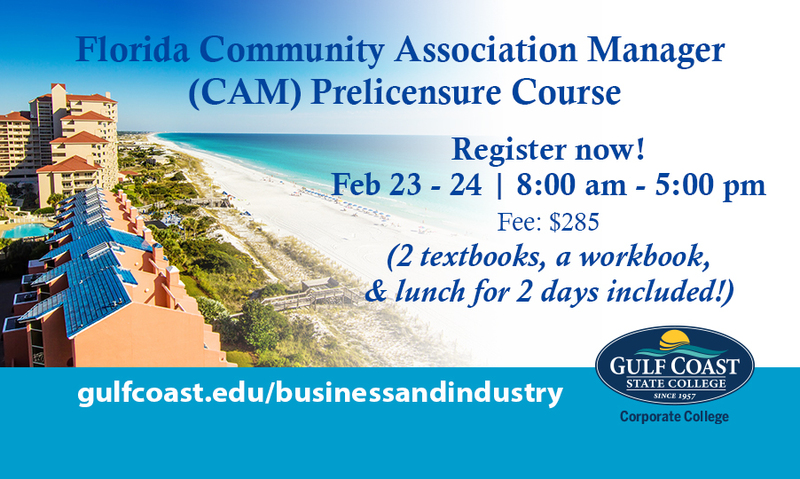 This course serves as the 18-hour required education to obtain a Florida Community Association Manager (CAM) license. Students will learn and understand the Florida CAM licensing requirements, CAM responsibilities, and standards of conduct. A Florida CAM license is required when managing an association of more than 10 units and/or has an annual budget in excess of $100,000. Types of properties that hire CAM license holders are mobile home parks, planned unit developments, homeowners association, cooperatives, timeshares, condominiums, or other residential units with authorization to impose a fee that may become a lien on the parcel. Two textbooks and one workbook included ~ plus lunch for both days will be provided. Everything you need to know to obtain your CAM license – last class until August!